I had lunch at Mezcal Taqueria today on West El Camino near Truxel Road. It wasn’t bad (Hey, Taco De Sacto, can we search your site to see if you’ve reviewed a restaurant already?) and I would go back again. What was bad, though, was the mixed messages in the restroom. 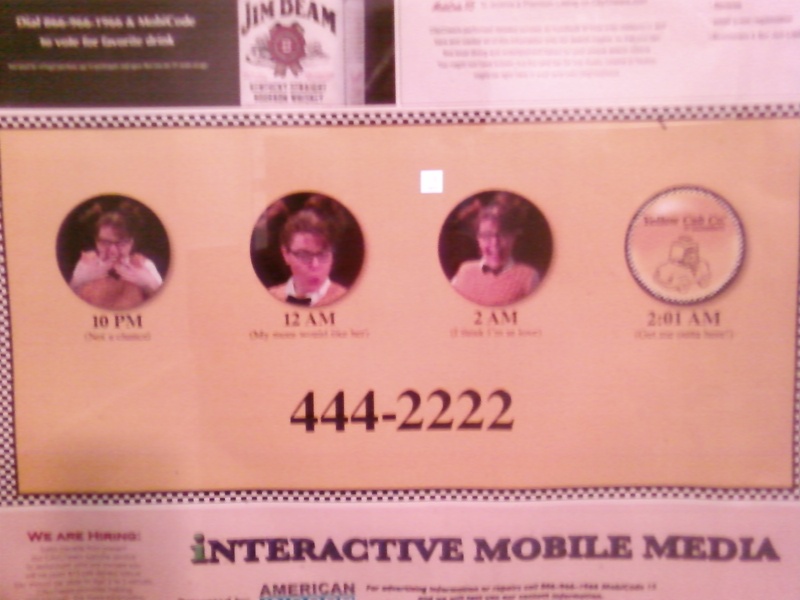 My lesson in common decency continued when I noticed this sign advertising a taxi company (it’s a horrible camera phone shot, I know) having to do with a girl that is unattractive at 10:00 p.m. but more desirable throughout the night until it is time to call a taxi, or something, I’m not quite sure. Has anyone else seen it? So odd. Is that the only instance of “common decency” and “California State Law” being in synch? Badda BING! 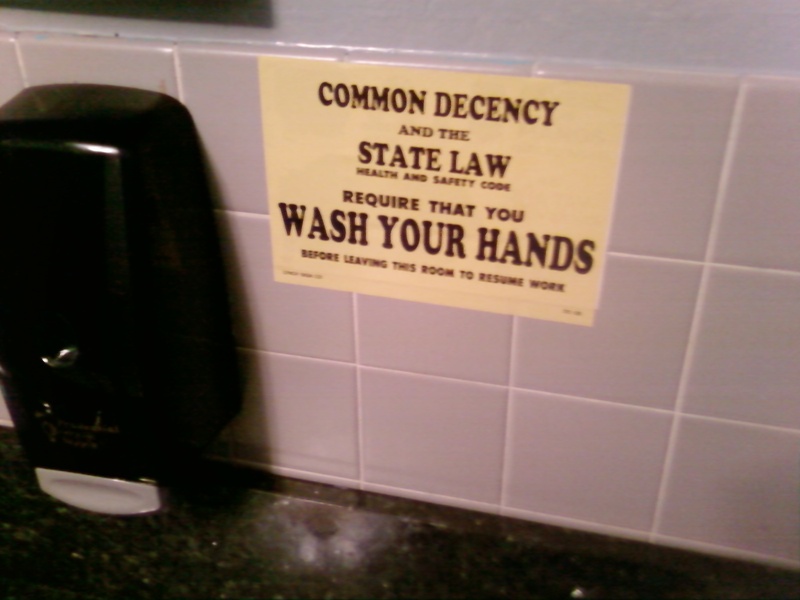 The “common decency and state law” signs used to be de riguer back in my yoot. I guess you had to be there but it still amuses me. The common deceny sign is also posted at Eggie’s on Fulton. I love it. Previous Previous post: Who doesn’t like Discount Jazz?